Anschar Diamonds: What Would You Do If You Saw an Engagement Ring Being Swiped at a Nail Salon? What Would You Do If You Saw an Engagement Ring Being Swiped at a Nail Salon? 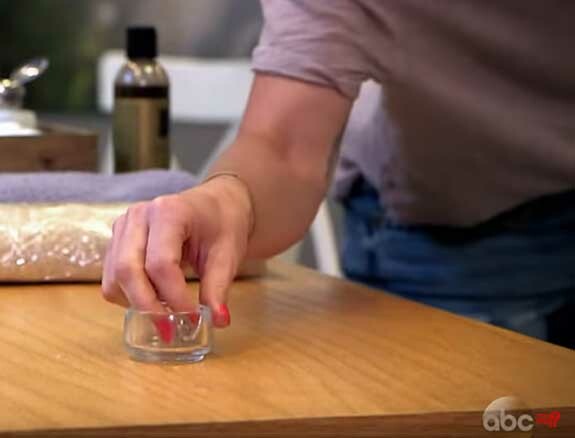 In a recent episode of ABC’s What Would You Do?, correspondent John Quinones and his team explored how average individuals might react if they witnessed a diamond engagement ring being swiped by a patron at a local nail salon. Would they intervene or mind their own business? For its test, What Would You Do? designed a scenario where bride-to-be Jazelle is victimized by the manicure bandit, Madison. Everyone in the shop is in on the ruse except for a single customer who is sitting at the next manicure station. 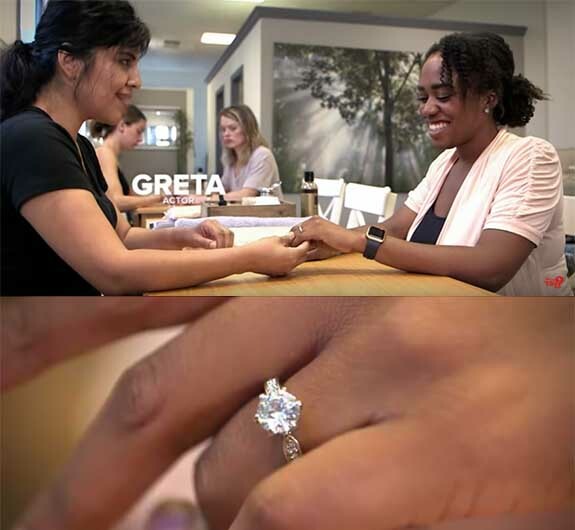 When Jazelle arrives at the salon, she is greeted by Greta, who compliments the new bride on her beautiful ring. 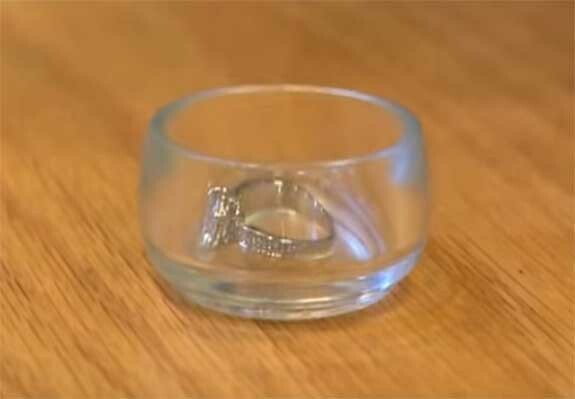 She tells Jazelle to place her jewelry in a small glass ring dish during the manicure. When Jazelle steps away for a moment to pick her color, Madison swoops in and brazenly pilfers the ring. Witnessing the staged theft is an ordinary patron who is seated at the table between Jazelle and Madison. “Yes, you just took her ring,” the woman says confidently. At this point, Jazelle returns from picking a polish and joins the fray. “Where’s my ring,” asks Jazelle. The manicure bandit then rises from her seat and announces to the salon staff that she needs to go. But, then the patron rises, as well, and pleads her case with more intensity. As Madison tries to make a quick getaway, the patron jogs after her. “Somebody call 911,” she pleads. Outside the storefront, the patron is greeted by Quinones and his crew. “Boy, you were not going to let her go,” he says. “You can’t watch someone do something like that and not respond to it,” she says. The What Would You Do? crew continued to shoot the same scene throughout the day, and just about every patron continued to do the right thing, exposing the thief and threatening to call the police. There was one exception, however. A young man clearly witnessed the theft, but said nothing. When confronted by Quinones, he first tried to excuse his behavior by stating that he thought the thief and the bride-to-be were friends. But, then he realized how silly that sounded.